Lady Anglers get caught wearing XTRATUF boots! Hey, wanna win some prizes? Mesmerizing spiral of XTRATUF boots! Gold Coast Lady Anglers represent! 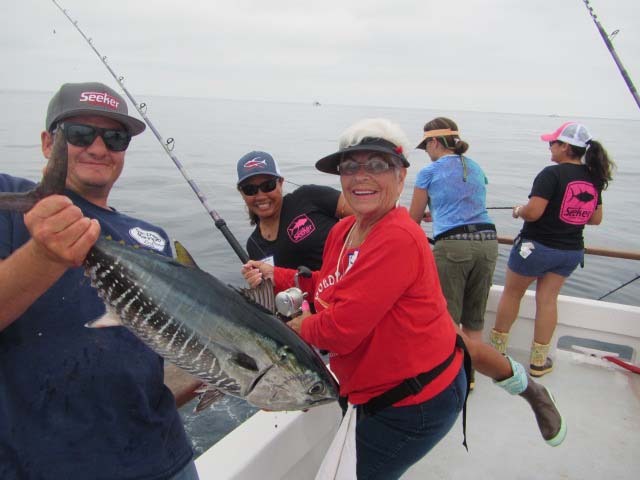 Yellowfin tuna time for Teresa B! Tresa R showing off a quality YT. Anglerettes having fun at the rail today! Lisa is all smiles with her YFT!